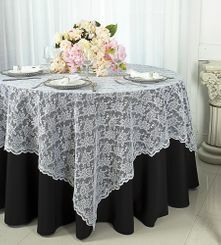 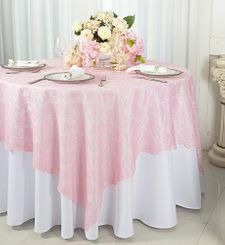 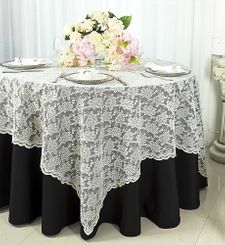 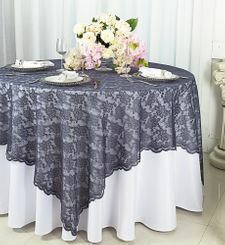 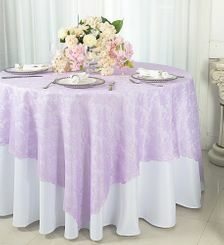 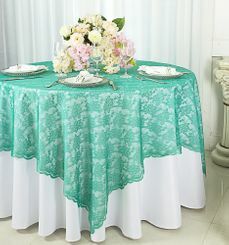 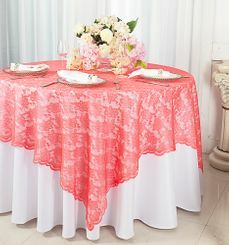 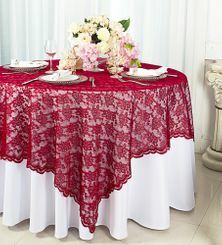 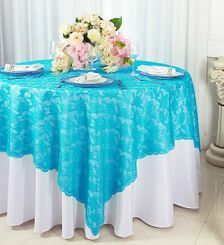 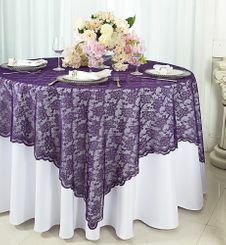 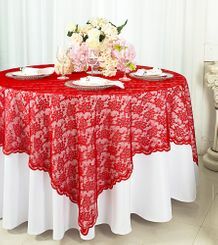 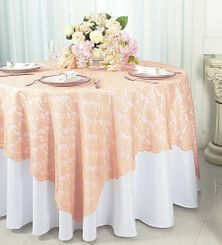 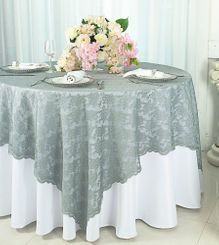 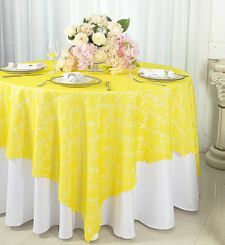 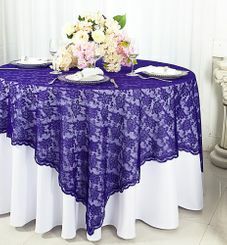 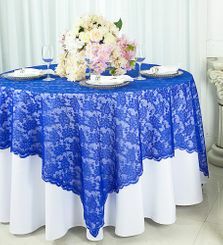 Lace Table Overlay Toppers Wedding - 72" squareFree Shipping over $150 - US 48 Contiguous States! $9.98 Flat Rate Under $150 - US 48 Contiguous States! 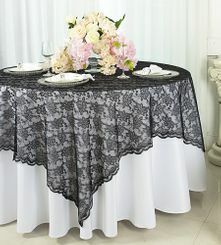 Beautiful brand new square lace table overlay, lace table overlays, wedding lace table overlay toppers. 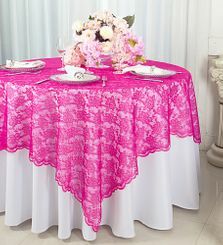 72" square lace table overlays are one piece design with a beautiful edge. 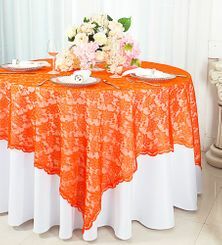 72 inch square lace table overlays topper are perfect for wedding, wedding reception, party, celebration, catering service, banquet hall, restaurant, hotel, convention center and all special events.